The scourge of cancer has increased its painful and costly toll on individuals, families , communities and the entire economy, with worries that it will soon surpass HIV/AIDS among leading killer diseases. 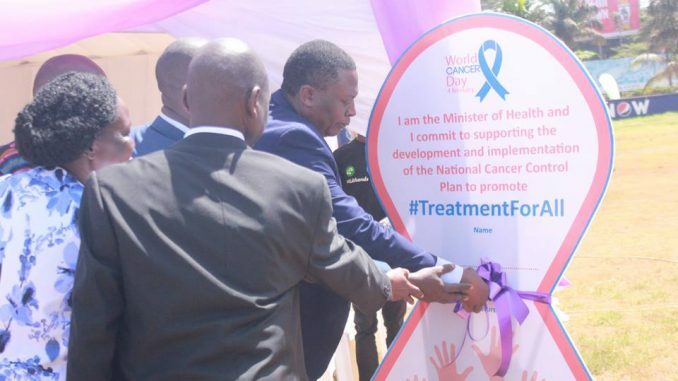 Last year alone, the disease claimed an astounding 21, 899 lives, almost 80% of all the 32,617 people who were diagnosed with the disease, the Uganda Cancer Institute (UCI) in Mulago Kampala, reported. The worrying statistics came during events to commemorate February 4, 2019, World Cancer Day. More worrying perhaps, according to the Executive Director of UCI Dr. Jackson Orem, is that the number of people suffering from the disease is rising very rapidly at 63% between 2012 and 2018. Besides the high mortality rate of 80%, a small fraction of the people with cancer reach health facilities leaving majority suffering with the disease back in the villages. Only about 4 percent of patients manage to come to Kampala to receive treatment. 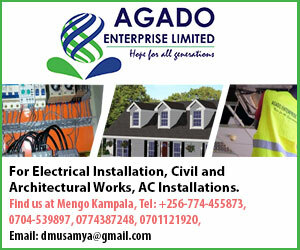 He estimates that between 200,000 and 300,000 Ugandans are suffering from cancer. So is Cancer now the new HIV? Some may wonder? “No,” says Dr. Orem, before adding however that trends point to the possibility that it will soon surpass the sexually transmitted disease. “The way things are, Cancer is going to supersede HIV in as far as visibility and impact is concerned. The truth of the matter is that there are more people dying of cancer than HIV and malaria combined. A good number of of these people are dying at the prime of their lives and the biggest burden of this is being borne by developing countries like Uganda. Whereas Cancer in not supposed to be a death sentence and indeed is not the case in many countries, in Uganda, late diagnosis is cited for the low survival rates. “Cancer is a global problem which must be taken seriously with regular screenings and checkups, Vaccinating girls aged 10 years against HPV (Human Papiloma Virus) to prevent cancer of the Cervix , keeping away from Smoking and Sniffing habits, Keeping bodies active and fit among others, will help prevent cancer,” said Dr. Oryem. Oryem attributed the high number of deaths to Known risk factors like Tobacco smoking, Unhealthy diets, Physical inactivity and harmful use of alcohol, obesity and reporting to the cancer institute, when cancer is in its advanced stages where nothing can hardly be done to cure it. 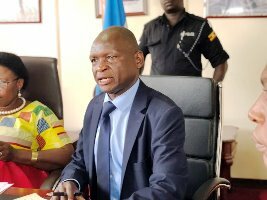 The Acting Director General of Health Services in the Ministry of Health Dr. Charles Olaro also emphasized the risk factors of alcohol consumption, smoking, risky lifestyles and inactive lifestyles as the they can help prevent More than one third of cancer cases. “One third can be cured if detected early and treated properly as the current evidence indicates 30%-50% of the cancer deaths could be prevented,” said Orem. Dr. Christie Mccome from the American cancer society, the biggest voluntary cancer group in the world in the fight against cancer recognized the performance and the fight by the Uganda Cancer Institute in the fight against cancer and pledged to work with the Ministry of Health, Uganda Cancer Institute and the civil societies to fight against cancer.